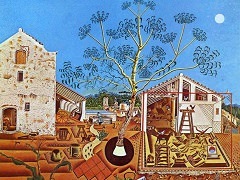 In 1939, at the outbreak of the second world war, Miró and his family moved to Varengeville on the Normandy coast, a few miles from Dieppe. Georges Braque was a neighbour. 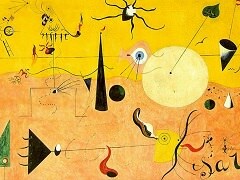 The village was subject to a blackout, and that fact prompted Miro's most luminous and affecting series of paintings, The Constellations. He explained their genesis in a letter to a friend: "I had always enjoyed looking out of the windows at night and seeing the sky and the stars and the moon, but now we weren't allowed to do this any more, so I painted the windows blue and I took my brushes and paint, and that was the beginning of the Constellations." 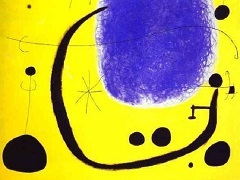 Painted on paper, the pictures create the most vibrant expression of Miró's inner universe, with its by now recognisable system of codes and symbols. On 20 May, with the advance of the German forces, he managed to get his wife and daughter on the last train for Paris, from where they miraculously found room on a train leaving for Spain. 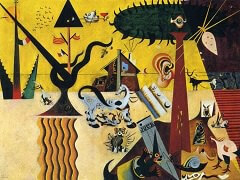 Miró had time to take nothing with him, except a roll of the starry paintings. 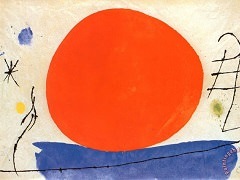 The family got passage to Palma, Mallorca, where Miro had spent his childhood summers with his grandparents, and where, on 1 August, he resumed work after more than two months of escape. 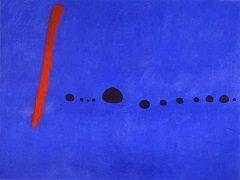 The Constellations, which Miro completed in Barcelona, were among the first artistic documents to reach America after the war, and were exhibited in New York in 1945. 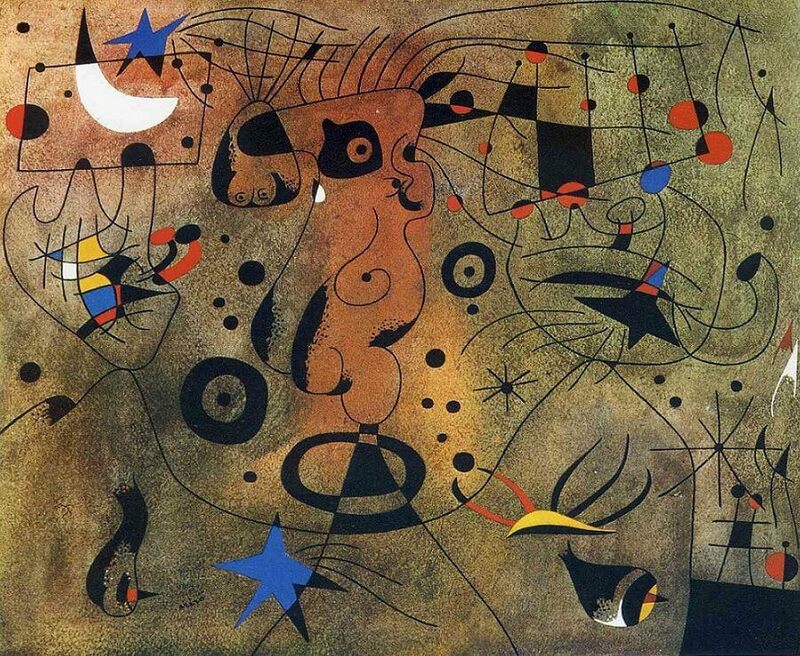 Andre Breton, who saw them, talked of how at a "time of extreme perturbation" Miro had escaped into a realm of "the purest, the least changeable..."